Note: This VTX can output on certain channels which may not be Legal in some countries. Please familiarise yourself with the laws before flying and ensure you are on the appropriate channel and output power. 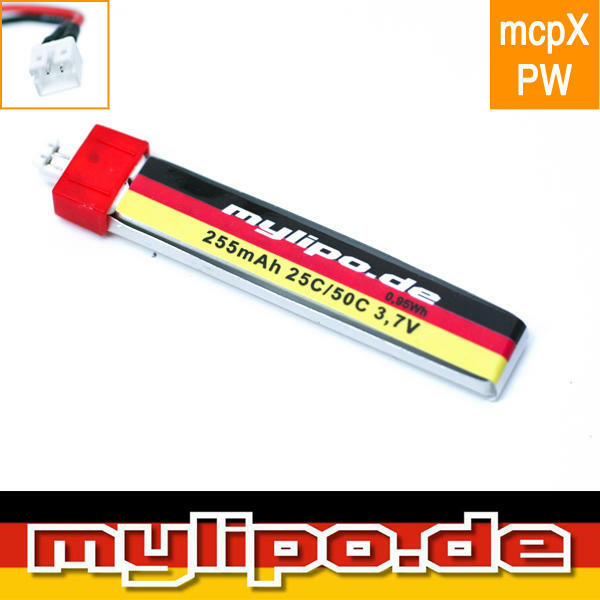 Switchable power includes 0mW (Pitmode), 25mW and 200mW. Smart Audio function is included. 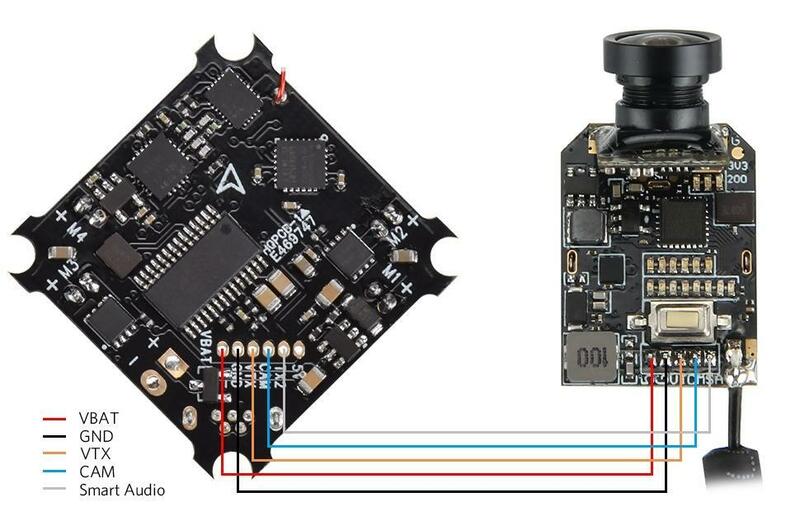 The flight controller can communicate with the video transmitter using the audio line in. 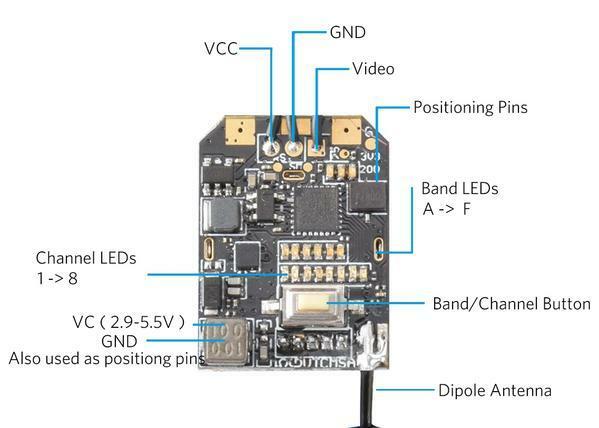 It allows the flight controller to know what frequency and power the VTX is using, and is also able to change it.